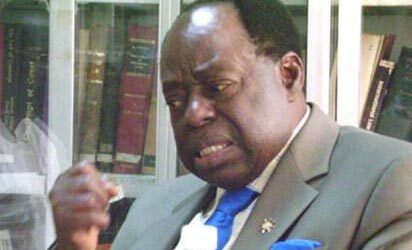 Ado-Ekiti- An eminent lawyer and university administrator, Chief Afe Babalola(SAN), has suggested to National Universities Commission and the Ministry of Education to adopt unified examinations for final year students in every course in Nigerian universities. Babalola said this is one of the potent weapons that can be deployed to engender quality education in the country and rout the culture of laziness in the system. The lawyer added that his university had partnered NUC to move the institution beyond the minimum standard set by the commission, saying this necessitated the giant strides and records the university had recorded in the country. Babalola spoke on Monday during the 10th matriculation ceremony and award conferments on alumni of Afe Babalola University, Ado Ekiti(ABUAD), who had done the institution proud in their academic and career pursuits. READ ALSO: Revisiting the rot in Nigeria’s public varsities At the twin events, Miss Ekpo Naomi , got the star prize of N525,000 as the best graduating student ever produced by the university since inception in 2010, among other alumni that were honoured. Babalola said: “I want to suggest to NUC and the Ministry of education that in order to maintain quality and high standard in Nigerian universities , the final year in all programmes across all our universities should take the same national final examinations. ” In this way, every university shall work hard to ensure that their students pass the national examination thereby ensuring high standard in teaching and learning. ” I am going to present a position paper to FG on this and those with influences should join in pushing it. “What we have done here in ABUAD is education revolution. We have built new generation of Nigerians, I mean a new Nigeria. We are building students who are honest, morally upright and hardworking,” he stated. He praised the educational regulatory bodies for acknowledging the revolution ABUAD has brought to the university education. In her response, Ekpo assured that the awardees shall continue to strive harder rather than relent , by ensuring that they excel wherever they find themselves to show that ABUAD is a world-class university. Justice of the Court of Appeal, Justice Ahmad Belgore, advised the matriculands to play their parts and prove to the world that good things can happen in Nigeria. The Chief Judge of Ekiti State, Justice Ayodeji Daramola, described ABUAD as a “entre of excellence” that had produced quality graduands due to the fact that the university has a culture for academic and moral development. The former Executive Secretary, National Universities Commission(NUC), Prof. Peter Okebukola , in his brief lecture to mark the event, said the establishment of ABUAD has helped in stabilising and raising the bar of quality education in the continent. The academic stated that starting their undergraduate studies from an ‘elite university’ like ABUAD will go a long way in enhancing their academic careers. “For the university to maintain the present status, it has to think about the qualities and quantities of teachers being employed and students being admitted. ” So, the teachers attitudes to work matters while students reading culture is very essential. All these will affect the qualities of performance , research and other variables.” ABUAD’s Vice Chancellor, Prof Michael Ajisafe, said the university has been described as a leader in functional educational in Nigeria and Africa. Ajisafe added that the institution has brought a paradigm shift to the university in Nigeria, having emphasised and practice the culture of academic and moral excellence. He urged the students to brace up in the faces of the daunting challenges and excel in their academics, rather than being weighed down and drop out of school.